Learn from the experts how to execute a powerful digital marketing strategy. Review the latest news and trends in the industry. Analyze your current 2019 digital marketing campaign. Understand the tactics and strategies to outrank your competitors online. Increase your visibility and grow your business. Cost: The event is free of charge and will also include complimentary refreshments. 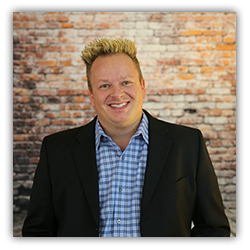 Collin is the National Sales Manager for Social SEO, based in Colorado Springs, CO. Originally from upstate NY, Collin has been living in Colorado for almost 30 years. He has been with SocialSEO for 4 years and was the 3rd employee hired. Collin has helped SocialSEO grow to 30 full time employees. 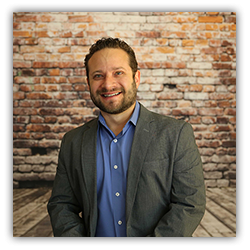 While Collin is involved in the strategic planning for SocialSEO themselves, he routinely helps businesses of all sizes determine their best path to navigate the digital marketing landscape. He is well versed in Organic SEO, SEM and Social Media. His focus, when working with these businesses, is their ROI. When he is not focused on business, he is enjoying life to its fullest with his beautiful wife and two daughters.